Aww Nuts! 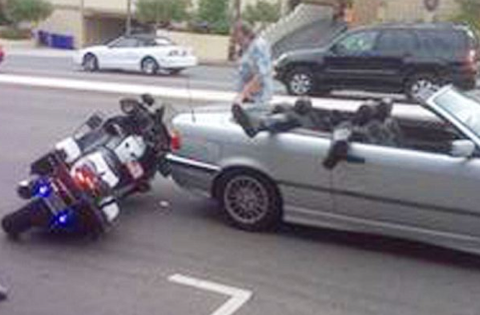 CHP Officer Crashes Motorcycle and Lands in Convertible! Motorcycle accidents are never funny. Okay, we got that disclaimer out of the way. Now on with what has to be the most amusing accident photos we’ve ever seen here in our years of practice as motorcycle accident lawyers. 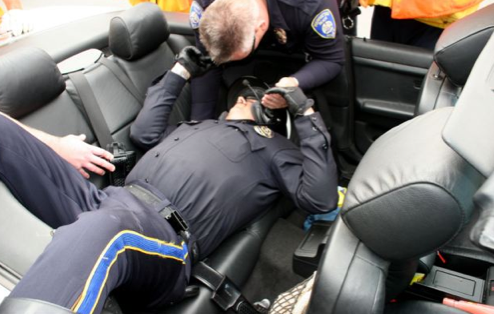 A CHP officer in Redondo Beach, California, collided with a convertible, and ended up in the car’s backseat. Based on the photos and the position of the car, bike, and rider, our best guess is that the officer collided with the rear of the convertible. In other words, he was likely speeding, following too closely, or not paying attention. Fortunately, no one — including the officer — was seriously injured, although it’s being reported that the impact has caused him some significant pain to his . . . how do we say this delicately . . . his little gun? We are glad he’s ok. But this is a lesson for all the riders out there. 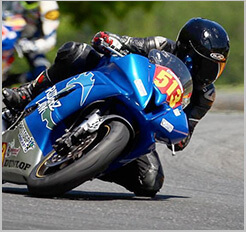 Experience is not an excuse for dangerous or inattentive riding. Enjoy the photos.